We have been very busy again this week. 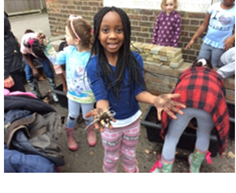 The children have really impressed me with their behaviour and attitude to learning. We have had lots of visitors, such as some local police officers and a gymnastics specialist to Reception. This helps to enhance the children’s learning by widening their experiences, which is very important to us here at Dame Tipping. 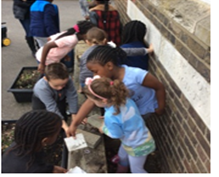 Many of the children had a chance last Friday afternoon to dig out all the unwanted plants from the tubs at the front of the school and to plant some bulbs. I won’t spoil the surprise by telling you which flowers they are, but do look out for them in the Spring. 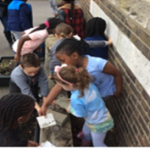 Thank you very much to Mr. Whitcombe for supplying the bulbs and to Mrs. Buckley for planting them with the children. We will be reviewing our homework policy in a couple of week’s time and would very much like your input on this contentious subject. 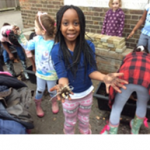 We did have a parent voice event with a homework focus earlier this year, and have taken on board many of the points raised, but we know we could still do better. Please could you let us have your views, either by writing a short note to the class teacher, or by emailing the office with the subject heading: ‘Views on homework’ over the next week. Your views are very important to us, so please let us know your thoughts on what we are currently doing (positive and negative) and any suggestions you have. To parents of Class 5 and 6 pupils: Please do not forget to pay the next installment for Kingswood if you have not already done so. The full amount is due in April. Thank you. Unfortunately, due to essential gas works, the lane will still be closed at the end of the day. Staff will bring all of the children to the front of the school to hand children over to parents, so that cars do not need to be parked for more than a couple of minutes. If it is at all possible for you to walk up to the school, please do, as we anticipate that it will be very difficult to park near to the school. Another disruption caused by old, faulty gas pipes was to our school lunches. As the gas supply failed (the pipe crumbled when the gas fitters attempted to fix the leak), the kitchen was not able to cook all of the hot meals which were ordered this morning. Cook did provide those children affected with a sandwich of their choice, along with side salad and a choice of fruit, yoghurt or cake for dessert. The children received a free drink. Thank you for your understanding in this matter. Yesterday we took part in the Cross Country event at Stubbers. Everyone had lots of fun in the rain and mud. The course was very soggy,wet and muddy but the runners kept on running!. The years 3 and 4 had to finish their race with a small hill which became very muddy. Bonny – Blu and Mo said “It was not Fun!” all the girls did very well in the pouring rain. Jack Robinson did very well for the year 3 boys coming in at 46th. Year 5 and 6 had a longer course with more competitors taking part and even more mud; everyone did extremely well. A special to mention to Matthew Hick who came in at an amazing 2nd place in the year 5 and 6 race beating 160 other competitors. Also a big thank you to all the parents who stayed and supported the children on the day. Reception- 80.71%; Class 1 and 2- 96.33%; Class 3 and 4- 97.93%; Class 5 and 6- 94.67%. As well as winning a silver medal at our local Cross County competition this week, Matthew Hick of class 5 and 6 did incredibly well representing the borough in the London Youth Games cross country last weekend. Well done, Matthew ! Commendations this week went to Fae Dignum, Chidi Emechebe, Maisie Randall, Matthew Hick, Albert Gilbert, Alfie Makepeace, Brooke Thorn and Ellie Allen-Moss. Well done to all of you ! The Class 5 and 6 Work of the Week certificates went to Sidonie Holmes for her neat, accurate division work in Maths and Aimee Bradley for her beautifully published WW1 poem; The Class 1 and 2 certificate was awarded to Archie Jerrett for his fantastic creative writing; The Class 3 and 4 certificate went to Abigail Lee for her impressive model of an Ancient Egyptian Pyramid. Well done to Joe Stanley, Kaci Peart, Sidonie Holmes, Dylan Patel (x3), Scarlett Clarke, Jessica White, Finlay McKeown (x2), Freddie French (x2), Maddie Taylor, Neve Collins, George Dignum, Poppy Whitcombe and Katie Percival. They have all displayed excellent learning behaviour.